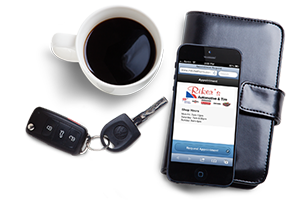 Now that more people read email on their phone than their home computer, it’s essential that your automotive mobile marketing messages look good and are readable on a smartphone. SocialCRM detects the mobile device that is being used and reconfigures the emails for friendly viewing. Appointment requests, service reminders, thank-you emails and customer reviews are optimized for smartphones and tablets, so your customers not only receive your message wherever they are, but they’re more likely to read and respond to your message. With SocialCRM’s mobile marketing emails optimized for mobile devices, you can be sure that your service reminder and thank-you emails look good on your customers’ phones. Customer review requests and automated appointment scheduling are built into every email, creating powerful word-of-mouth marketing opportunities and saving you time. When your consumers click on the Request Appointment email link while on their phone, they will be delighted by your mobile-friendly appointment page. It’s a fact that consumers respond better when the message they receive on their phone is formatted for mobile.